A resume is a marketing tool that will help you in your application. A resume headline is a short statement that highlights your skills and experience. In that short phrase, you should able to present your best to the employer. Even though forming a resume seems to be easy, you need to create a good headline. Here are some good resume headline examples that you can find on this page. Background: In writing your resume, you should not forget about the background. With this, you can write about your experience. Check this sample resume headline to help you with what you can write in your paper. Personal characteristics: If you are new in the field you are applying, it means that you do not have experience. With it, it is better to add some personal characteristics. Keep in mind that a potential employer will always seek out for qualities like well-organized, determined, hard working, dependable, trustworthy and others. If you can able to highlight these qualities in your headline, you can be short listed and get initial interview. Here are some of the qualities and traits that you can consider in creating your CV. Skills: Also, a potential employer looks for applicant based on their skills. There are skills that you developed over the years and it is good to use it. Before you apply for a job, think about the skills you can write together with your title. You can highlight your proficiency and here are some of the useful skills you can use. To have effective headline, here are useful and effective examples. Reading further will allow you to make a good headline that suits to your resume. An online marketing expert with 10 years of experience in online industry. Worked on SEM, SEO as well as web development. A good record in developing online business strategies and brands. More than 15 years of hands on experience in IT industry. Achieved scheduled goals and managed five to ten million budget for projects. An excellent leader in managing company teams through motivating as well as effective mentoring strategies. Effective interpersonal and analytical skills with good leadership skills. Versatile and dynamic CPA with strong analytical skills as well as financial knowledge for more than 15 years of manufacturing, healthcare and management experience. Extensive knowledge as software developer and system architect. In writing a resume headline, you need to be creative so that it will attract the employer. 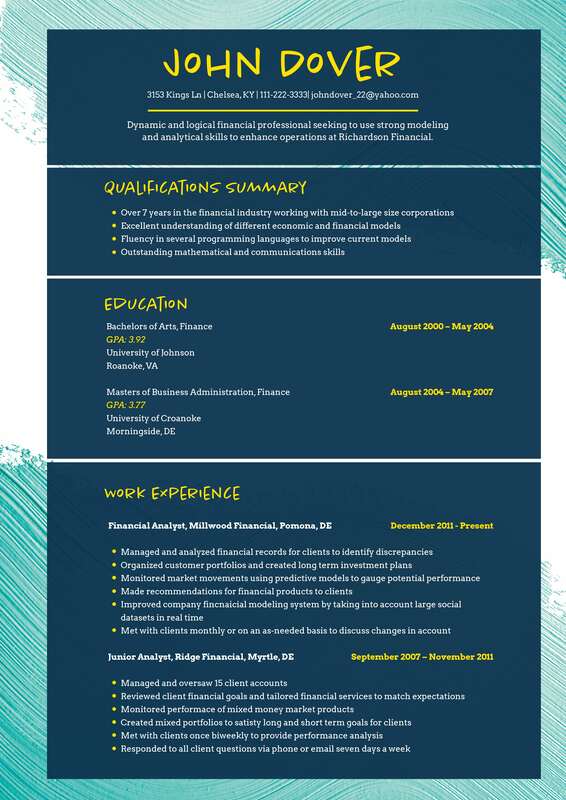 You need to know about example of resume headline to have a guide. If you want to satisfy the employer, make your headline brief and not lengthy.